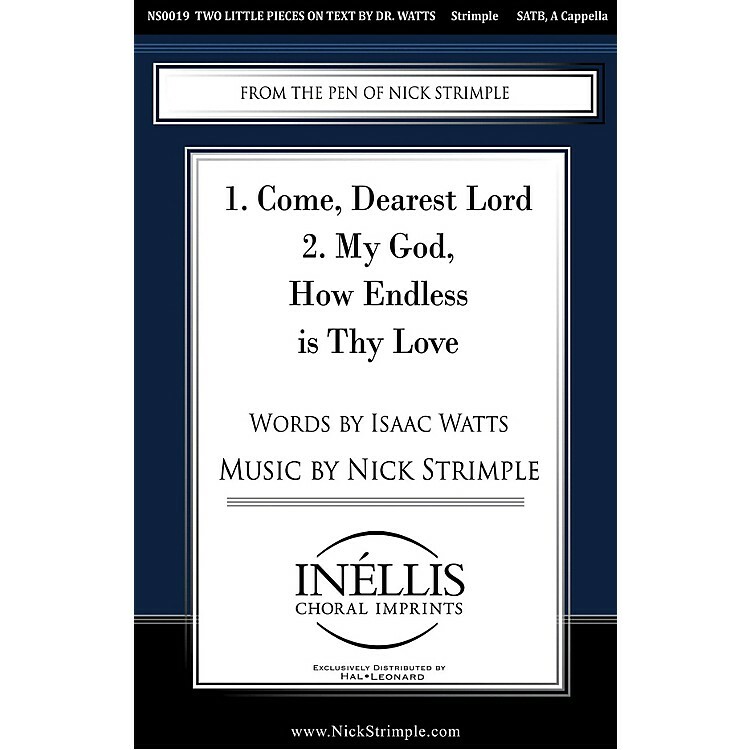 Two Little Pieces on Text by Dr. Watts sets two of Isaac Watts lesser known hymns, Come Dearest Lord, Descend and Dwell, and My God, How Endless Is Thy Love for unaccompanied SATB choir (keyboard accompaniment optional). The musical language is tonal, with a neo-Renaissance feel in the harmonic progressions. Designed for churches that use brief anthems as Introits, invitations to prayer or at communion.